I apologize for the lack of posting here. And the lack of releases! The short version is my father was in the hospital for over 3 months and needed help at home afterward. I lost writing time but I’m back on track!! Only 99cents on pre-order: Buy now! Stacey “Strawberry Top” Fields is home again in small town Willowbrook, TN. Divorced, she’s already earned her amateur sleuth badge by proving her super rich ex-husband cheated on her (and getting her share of the money per the pre-nup). A prize-winning cook and blue ribbon baker, she was a fabulous wife and hostess but now she’s starting over. It’s fun to be home with friends and family but even quiet little towns have problems. Secrets and lies make people do desperate things-small towns just hide them better. 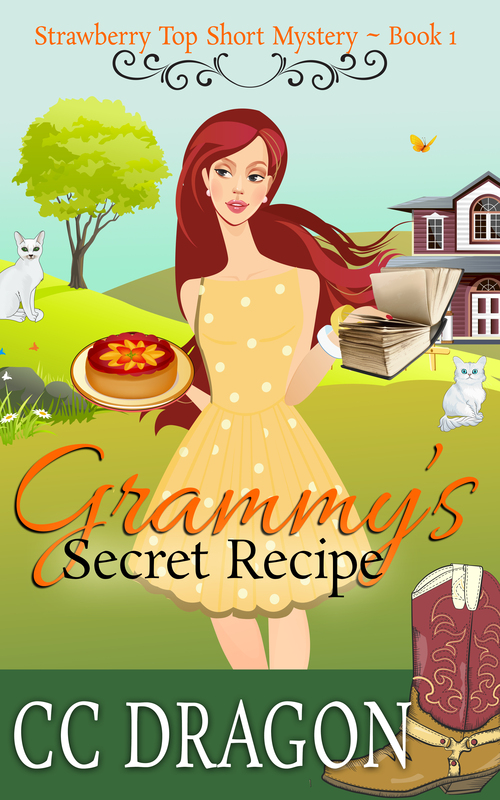 When someone steals Grammy’s precious family recipe book, Stacey must track it down or never hear the end of it. That book means the world to the family and, since cooking is Stacey’s future, no one is going to steal her family’s culinary heritage and get away with it!